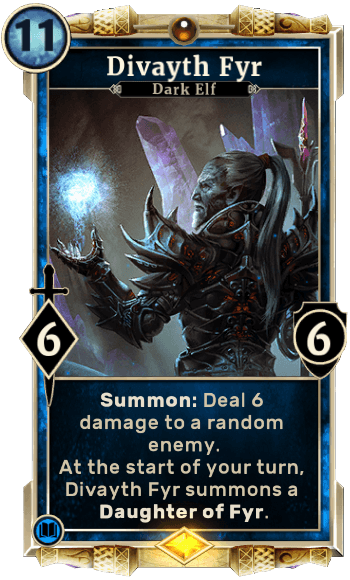 Divayth Fyr is a Card in The Elder Scrolls Legends. Summon: Deal 6 damage to a random enemy. At the start of you turn, Divayth Fyr summons a Daughter of Fyr.